Lautrec is a village in the quiet countryside of the Tarn department (Midi-Pyrenees region) to the south of Albi and east of Toulouse. 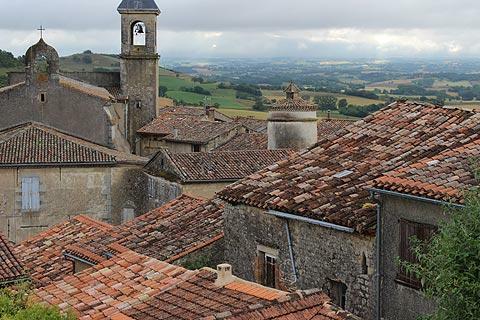 Within the 'Pays de Cocagne' it is officially recognised as one of the 'most beautiful villages in France'. The town is well known for being the home of the family of the artist Toulouse-Lautrec (the painter himself was born in Albi) and Lautrec is also renowned for the pink garlic (l'ail rose) produced in the surrounding region. France This Way comment: Lautrec village is medieval in origin with several buildings and monuments of interest from that period to discover. It is quite small and doesn't take very long to explore but a visit is highly recommended. 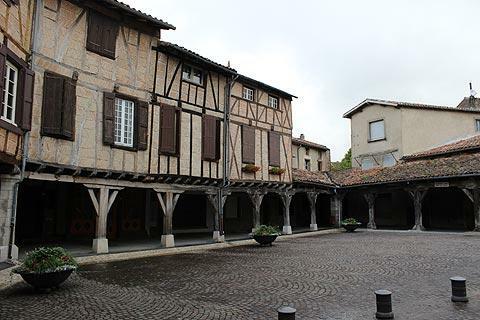 Start your visit in the central square in the higher part of Lautrec, surrounded by half-timbered buildings and ground level arcades built of wood. Particular highlights along the cobbled streets in the heart of the old village include the 14th - 16th century Collegial Church of Saint-Remy with its impressive altar and organ and part of the 15th century market halls. In the streets around the historic village center there are lots more medieval houses, some in stone and some half-timbered, and with interesting original features such as round towers, so be sure to take the time to explore. You can also visit an restored workshop where traditional wooden shoes were made, and an exhibition of old tools upstairs from the workshop. 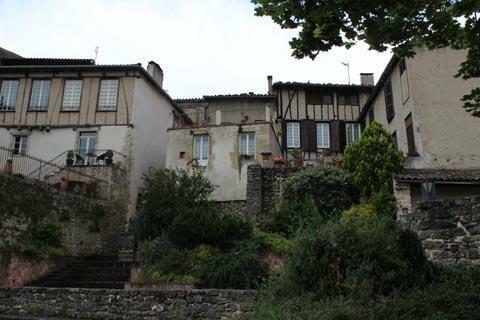 On the hill above Lautrec there is a 17th century windmill (built on the site of a 14th century windmill). 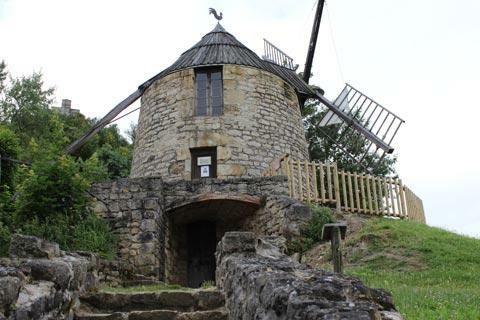 The windmill is open to the public (small entrance charge, closed winter) so that you can see the mill workings and how the flour was prepared here in centuries gone by. 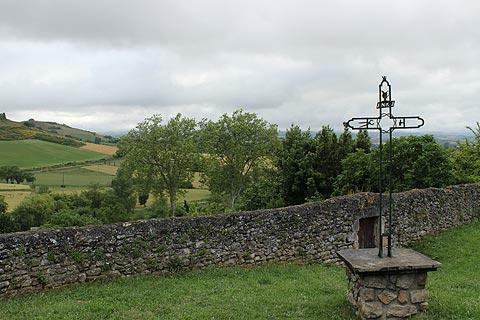 At the top of the hill you can see the Salette Calvary - from here there are also lovely views across the countryside of the Agout Valley and the hills and mountains beyond. 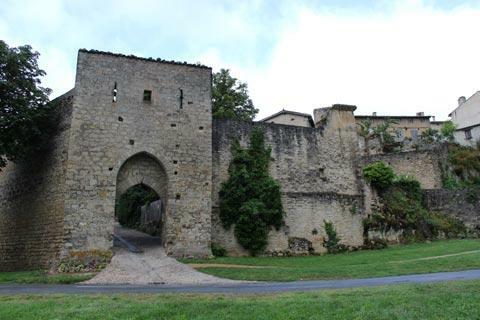 When you exit the lower part of Lautrec you can pass through the 13th century entrance through the fortifications called the Porte de la Caussade. Outside the gateway you can walk around the village and see substantial parts of the original fortified walls, and also a short path that leads to the (rebuilt) traditional washhouse for the village, in a very picturesque setting. In the 13th century the stone walls covered a distance of 1100 metres and included eight of these entrances, each incorporating a tower and a drawbridge across the moat that surrounded the town. The Porte de la Caussade is the only one that remains today. There are several picnic tables in the area outside the walls, in the shade of established trees and with attractive views across the countryside below, a perfect place for a picnic. 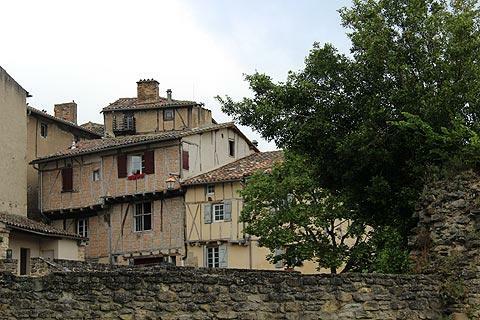 The Lautrec tourist office is in a 17th century benedictine convent next to the town hall in Rue du Mercadial and can provide more information about forthcoming events and local walks. 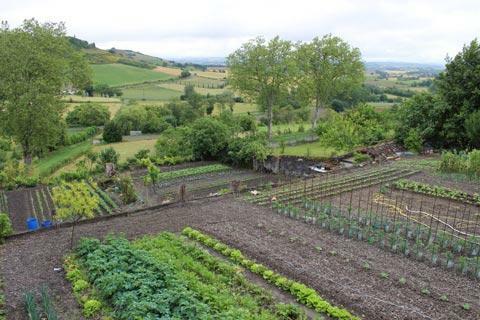 They also suggest several different walks of varying lengths from 1 hour to 4 hours in duration and an ideal way to discover the village and surrounding countryside. If possible we suggest you visit the village on the first Friday in August when an annual fete is held to celebrate the local garlic. There is a great deal to enjoy in the area around Lautrec including the very impressive historic centre of Albi and the riverside town at Gaillac. The city of Toulouse is about 80 kilometres from here but one of our favourite towns in southern France and well worth a day trip.